A few weeks ago I had the pleasure of attending the Churches Tourism Association convention. The final morning featured a ‘Using Technology’ session which featured of presentations on a number of relevant technologies. I’m hoping to do a short series of posts looking at some of these in turn. What Did Google Ever Do For Us? 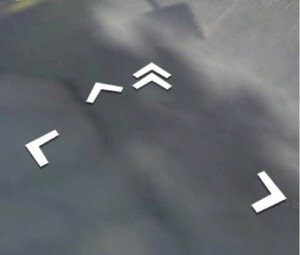 We’re all familiar with Street View on Google Maps – a great way of checking what an unfamiliar place looks like before you get there. And of course it only shows you the outside of buildings, right? Not any more! Google Business Street View is an extension of plain old Street View into the interiors of publicly accessible buildings. Google’s idea is to let you see the inside of commercial buildings such as restaurants – Google has some information here. Fine for businesses (for which Google developed it) but it turns out this technology is great for churches too! So why is this technology interesting? 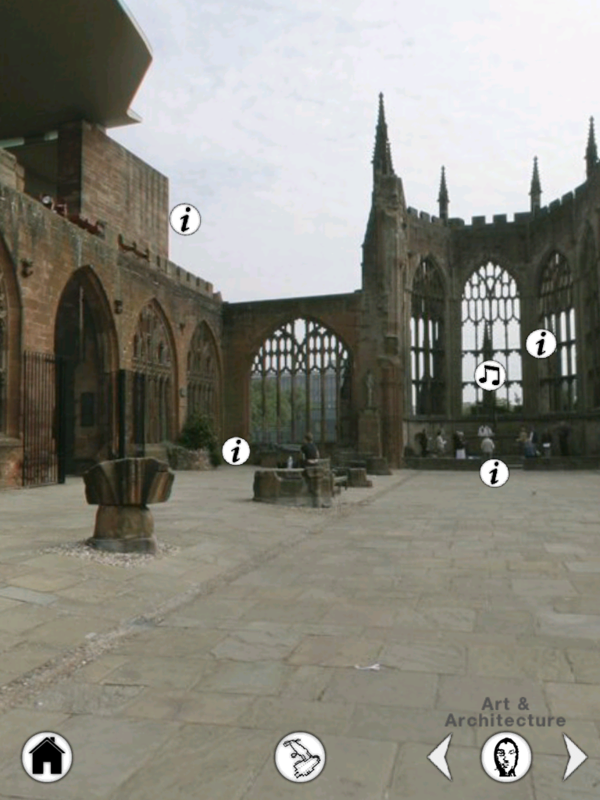 For historic buildings Street View is a new way that enables them to tell their story (in visual form at least). Clearly this doesn’t give the ‘visitor’ the full experience of being in the space, let alone the historical detail. But as a taster it is fantastic. And this is relevant whether your church is steeped in history, or is “post war charmless” – either way it helps people who have never visited the building before to feel more comfortable crossing the threshold. Not knowing what to expect is a powerful disincentive for people unused to church – and church buildings – to engage with us. This is a great example of one area where the church can learn from the world of retail. Even better, it is an area where the Church of England is leading retail – Chris is one of 20 accredited photographers who have agreed a national pricing structure with the Anglican Church, and the group will shortly be doing a test shoot for the National Churches Trust. 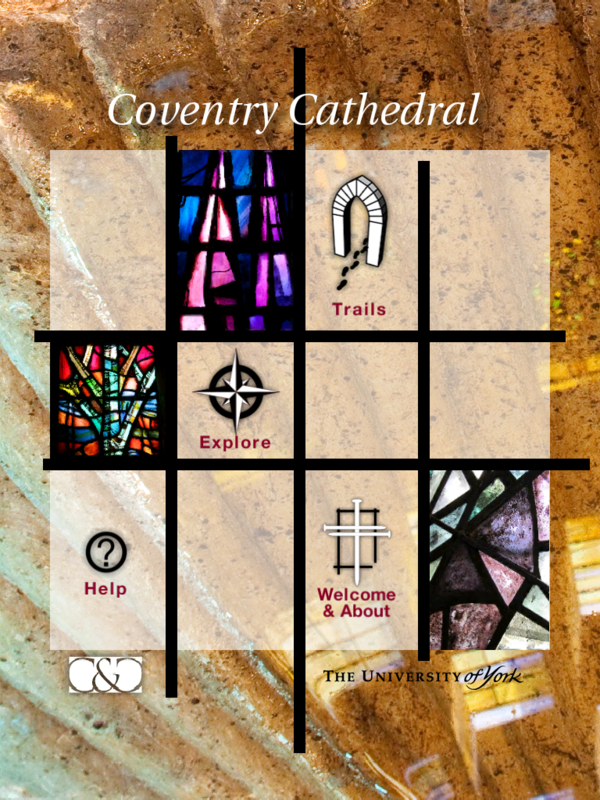 Those of you interested in how technology can help tell stories may be interested in the new app that will shortly be released for Coventry Cathedral. There are versions for iOS and Android. 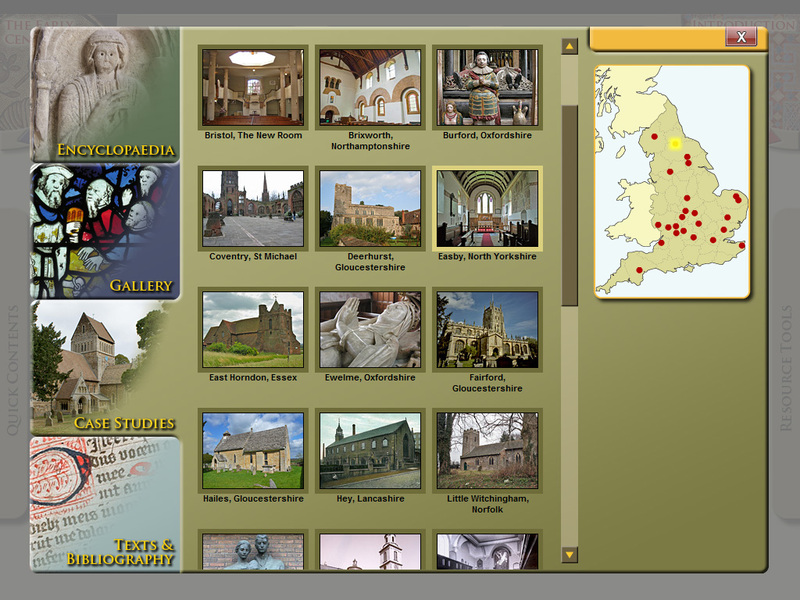 The app is one in a growing series produced by the wonderful people at Christianity and Culture in York. What C&C are so good at is providing content that is well researched, compellingly presented and also (if you are interested) spiritually throught-provoking. Explore – a more general guide including most of the above. I particularly liked the audio bit – giving a feel for the acoustic of the second cathedral before it was destroyed by bombing in 1940. 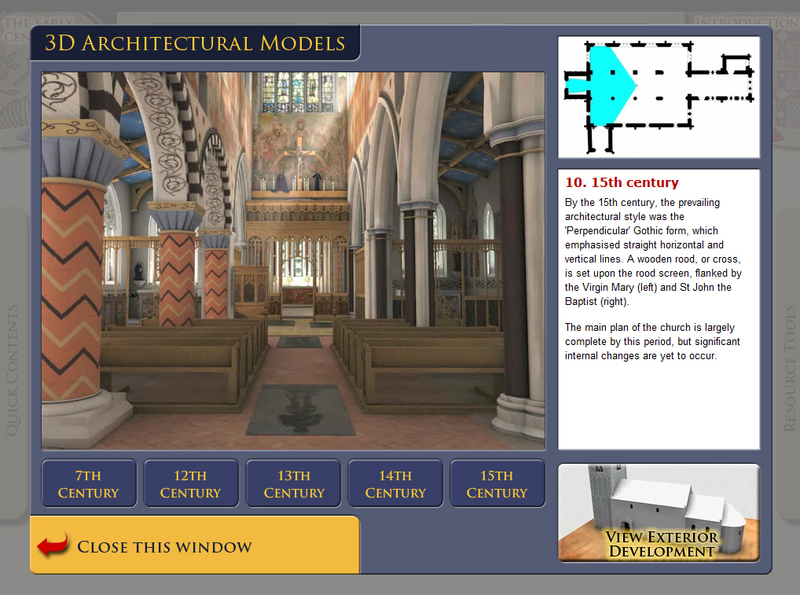 I tested the app out on site at Coventry a couple of weeks ago, and it worked well – certainly better than the audio tours, which you have to return to the desk before you’ve had a chance to listen to the information that relates to the outside of the building! 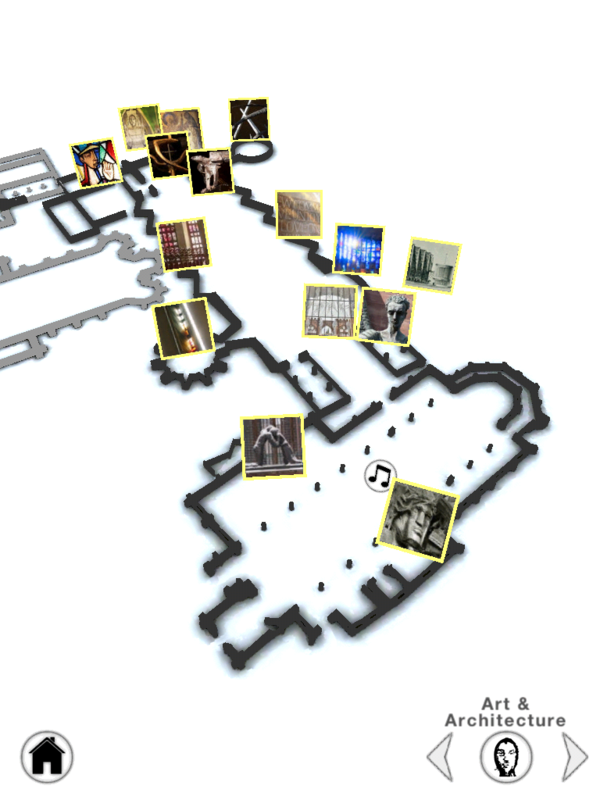 And the app is great because you can download it and explore the building before you visit, which makes the experience while you are there all the richer and less hurried. Why does this matter? Because there are lots of people who are drawn towards our church buildings who would not identify themselves as Christian. Interpretive materials such as these teach us all more of the story of these buildings, but particularly they open them up to the visitor in a way that printed materials cannot. They are part of our welcome, and perhaps the beginning of a conversation that may see some that come as visitors leaving as pilgrims. Why not download the app and explore for yourself? 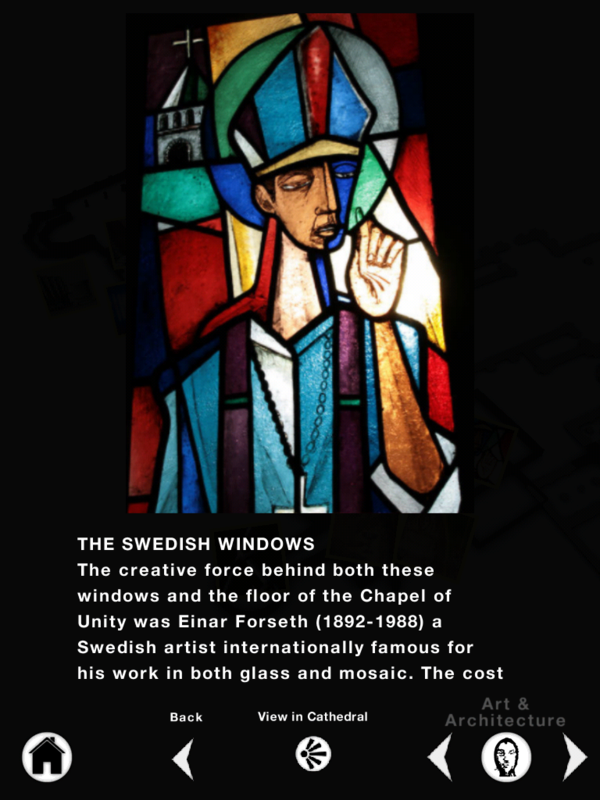 The app is due for an official launch by the Cathedral, but until then C&C would appreciate any feedback on glitches, or suggestions. They can be contacted by emailing the C&C office.